Starting with Pune, Tata Motors and Zoomcar plan to deploy these 500 Electric Vehicles (EVs) in 20 cities over the next year. Tata Motors and Zoomcar have announced that they will deploy 500 Electric Vehicles (EVs) in 20 cities by the next year in India. The first lot of these EVs, the Tata Tigor, is now available for self-drive in Pune. Today the number of shared mobility users is on a rise. 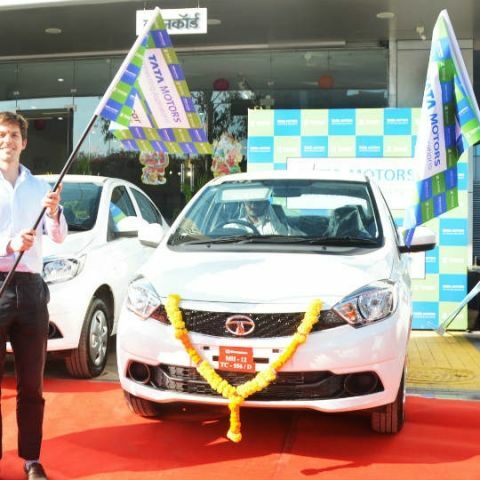 In this growing market, Tata Motors today joined hands with self-drive rental platform Zoomcar to offer Tata Tigor EVs in Pune. At a ceremony held in Pune, Mr. Shailesh Chandra, President— Electric Mobility Business & Corporate Strategy and Mr. Greg Moran, Co-Founder and CEO, Zoomcar flagged-off the first batch of Tigor EVs from Concorde Motors in Baner. Tata Motors is committed to the Government’s vision of driving electric mobility in the country and is working in a collaborative manner with various ecosystem partners to facilitate faster adoption of electric vehicles and to build a sustainable future for India.